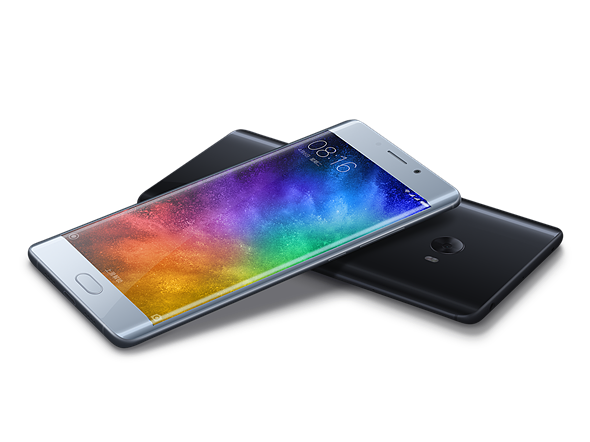 Xiaomi has today launched the Mi Note 2, a device looks a lot like Samsung’s Galaxy Note 7, the production of which was ceased after repeated incidents of exploding batteries, and could neatly fill the gap in the market that was left by the Samsung device. 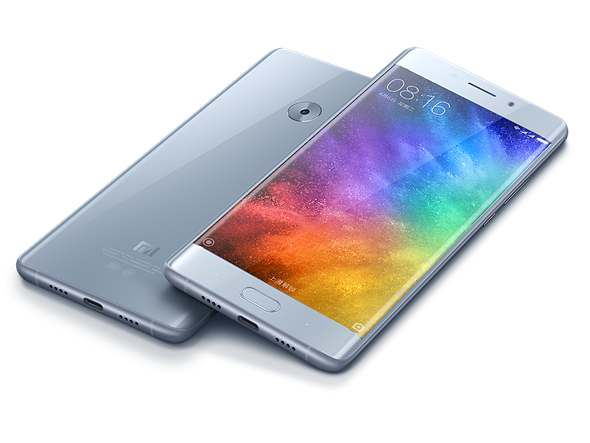 Like the Note 7, the Mi Note 2 offers top-end specs all-around. In the camera department a 22.46MP 1/2.6″ Sony IMX318 Exmor sensor is coupled with a six-element lens, F2.0 aperture and on-sensor phase detection. There is an electronic stabilization system for video shooting but the camera has to make do without optical stabilization. On the plus side there is a low-light mode, which presumably uses image-stacking for lower noise and better detail, and a long-exposure mode. At the front the 8MP camera uses Sony’s IMX268 sensor and comes with autofocus, an F2.0 aperture and Xiaomi’s Beautify 3.0 selfie mode. Another highlight of the new device is its curved 5.7″ AMOLED display with extremely thin bezels and 1080p Full-HD resolution. It means the Mi Note 2’s screen-to-body ratio is an impressively high 77.2%. Processing power is provided by by Qualcomm’s latest Snapdragon 821 SoC which comes in combination with either 6GB RAM and 128GB storage or 4GB RAM and 64GB storage. Sound is optimized through a 24-bit / 192kHZ DAC and a large 4070 mAh battery that supports Quick Charge 3.0. should make sure you hardly ever run out of juice. The global version of the 6GB RAM/128GB storage option will be available for approximately $520 while the lower specced variant will set you back $415. No details on geographic availability have been provided yet.